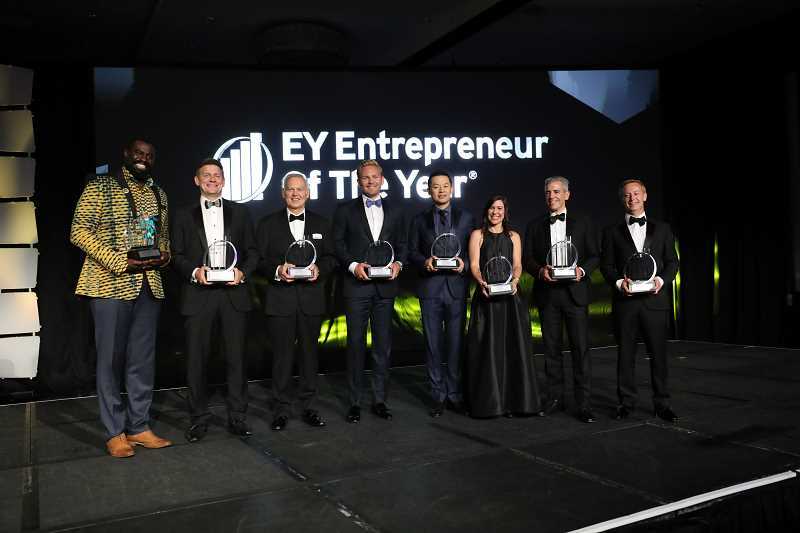 EY has announced the winners of the Entrepreneur of the Year 2018 Pacific Northwest Region Awards. As the world's most prestigious business awards program for entrepreneurs, Entrepreneur of the Year recognizes business leaders who are excelling in areas such as innovation, financial performance and personal commitment to their businesses and communities. The entrepreneurs noted below were selected by a panel of independent judges and unveiled at a special black tie awards gala Friday, June 15, at the Westin Seattle. "These winners have disrupted industries, created new products and successfully fueled innovation and growth in the Pacific Northwest," said Sue Borgman, principal, Ernst & Young LLP, and director, Entrepreneur of the Year. "We are proud to honor these inspiring leaders who are redefining how we live, work and play." The winners of the Entrepreneur of the Year 2018 Pacific Northwest Region Awards are Claudia Mitchell, co-founder and CEO of Universal Cells, Inc. in Seattle; Cole Morgan, co-founder and CEO of Snap! Mobile, Inc. in Seattle; David Wasielewski, managing partner of Din Tai Fung Restaurant in Bellevue, Washington; Eugenio Pace, co-founder and CEO of Auth0 in Bellevue; Mike Fritz, CEO of DWFritz Automation in Wilsonville; Olowo-n'djo Tchala, founder and CEO of Alaffia in Olympia, Washington; Sean Muller, founder and CEO of iSpot.tv, Inc. in Bellevue and Werner G. Nistler, Jr., founder and chairman of Touchmark of Beaverton. To learn more about the Pacific Northwest program, visit ey.com/us/eoy/pnw. Regional award winners are now eligible for consideration for the Entrepreneur of the Year National Awards. Award winners in several national categories, as well as the Entrepreneur of the Year National Overall Award winner, will be announced at the Entrepreneur of the Year National Awards gala in Palm Springs, California, Nov. 10. The awards are the culminating event of the Strategic Growth Forum®, the nation's most prestigious gathering of high-growth, market-leading companies. The Entrepreneur of the Year National Overall Award winner then moves on to compete for the EY World Entrepreneur of the Year Award in Monaco in June 2019.